The Scottish Government is set to turn the tide on a previously defunct £10 million marine energy scheme. 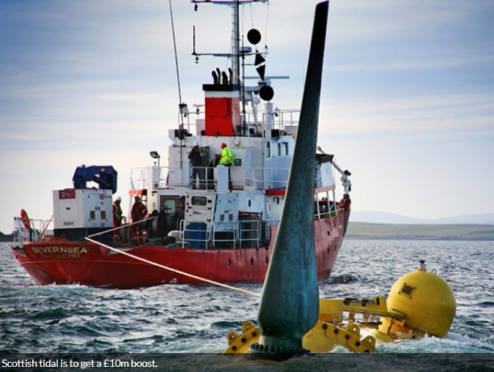 The relaunched Saltire Tidal Energy Challenge Fund will look to encourage the commercialisation of wave and tidal projects, many of which are currently based in the Scottish Highlands and Islands. The original taxpayer funded scheme was launched in 2008, offering up £10m to the first company to produce 100 gigawatt (GW) hours of marine-generated power, but was ultimately scrapped.